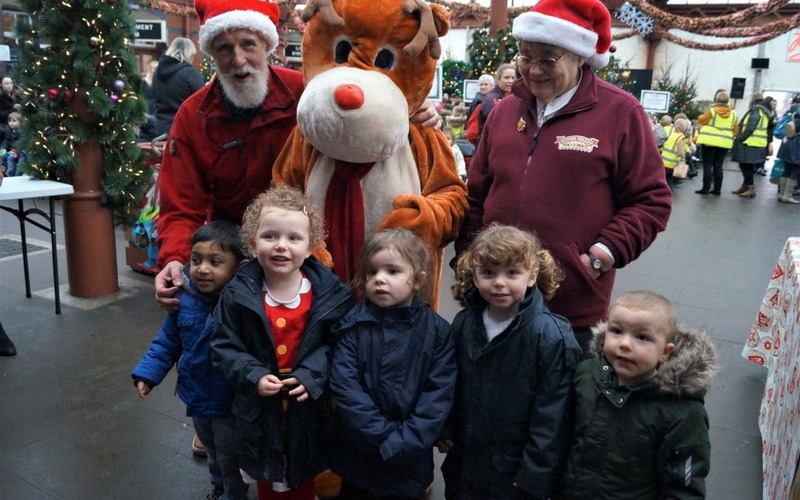 Donning hats, gloves, scarves and warm coats and ready to meet Santa, the children of Little Trinity Nursery in Kidderminster with giggles of delight set off for a magical Christmas adventure on the Severn Valley Railway. The children at Little Trinity, from 2-years and upwards, take regular learning walks with their outside experiences then used in creative play and craft activities back in the classroom. As the nursery is located so close to the Severn Valley Railway it was an ideal opportunity to use their trip as a learning walk to the train station before embarking on their festive return journey to Highley from Kidderminster. Miss Carter added: “The children had a lovely time with their friends, with lots of happy chatter helping to encourage their developing communication skills as they talked about road safety and our need to be careful as we walked to and from the station, as well as what they saw through the window of the train as we went along.